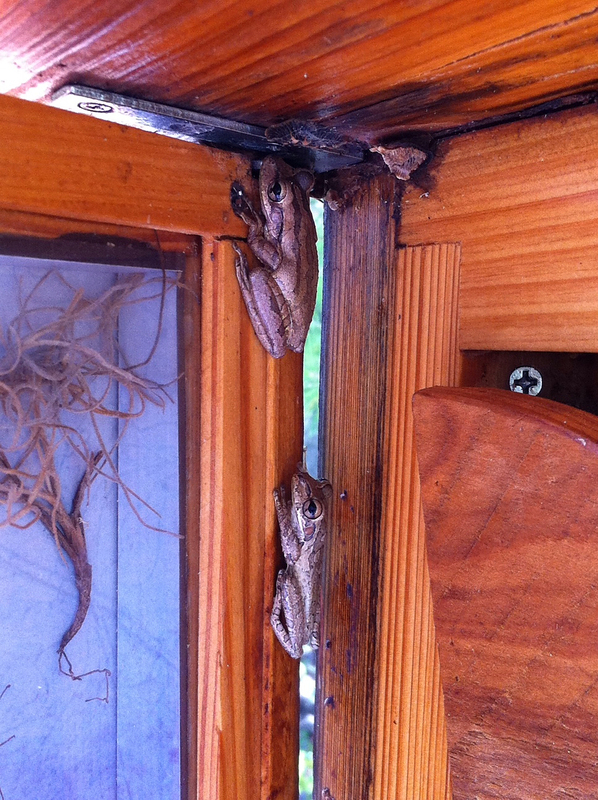 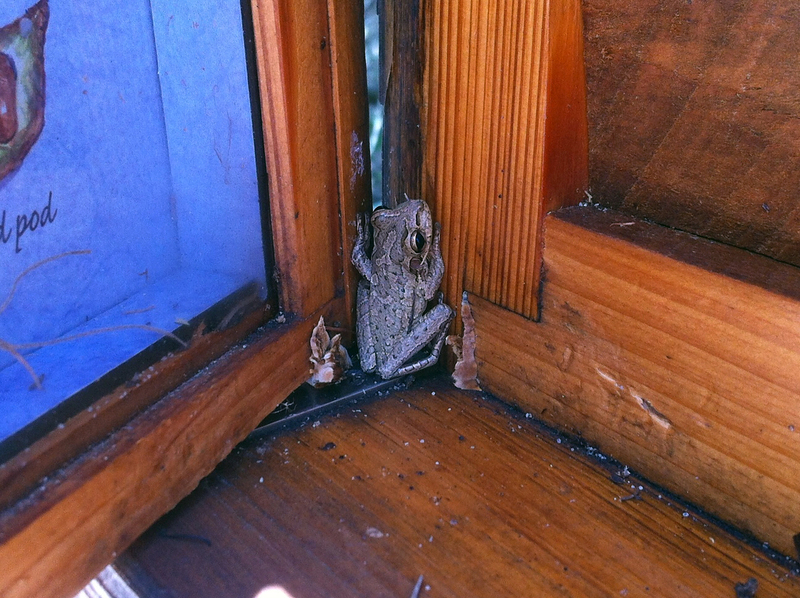 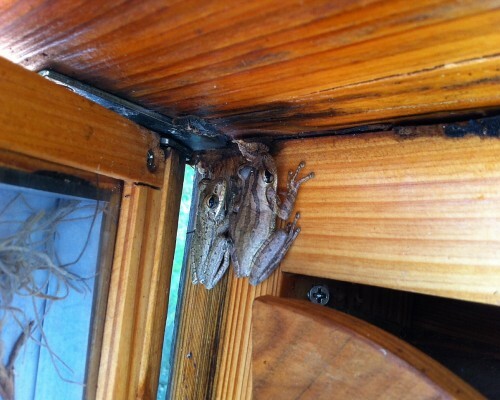 Two little frogs were as surprised as we were when we opened the paw paw shrine box. 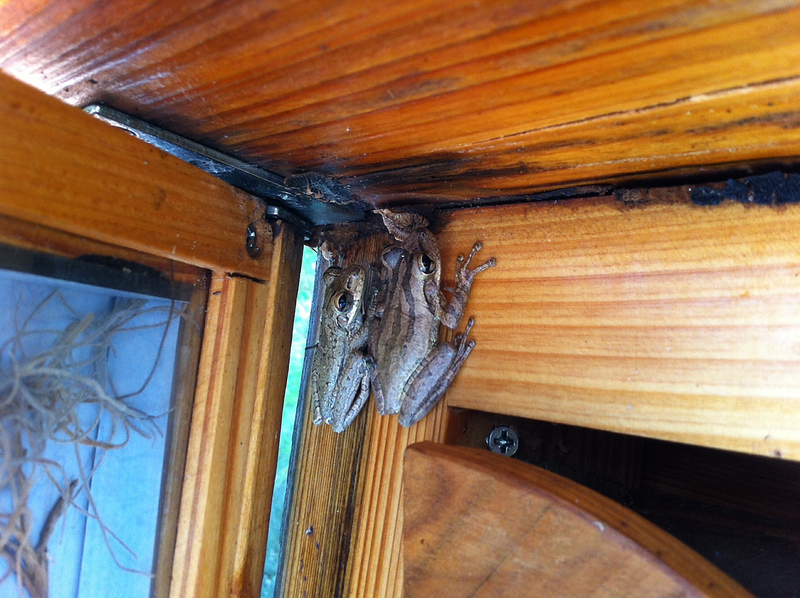 They scurried up and down and then retreated to their little home in the top inside box. 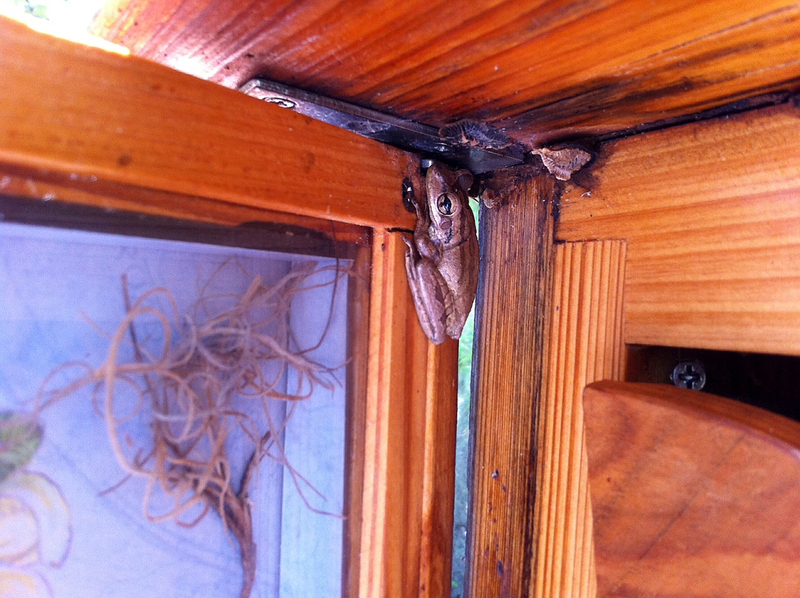 The paw paw shrine box has been quite a popular hangout for an assortment of bugs and critters.